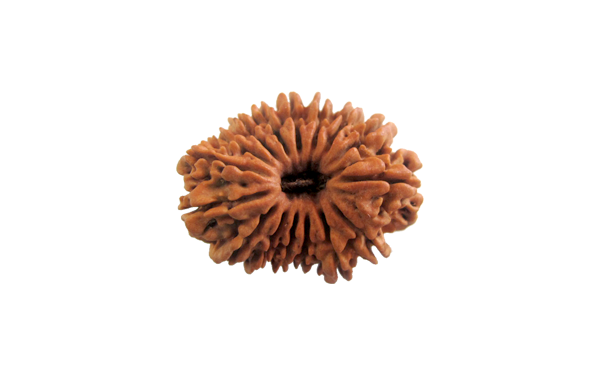 16 mukhi rudraksha is a very rare and powerful rudraksha. It is ruled by Lord Mahamrityunjay Shiva. The house in which this rudraksha is kept and worshiped daily remains free from theft and robbery. The wearer gets the benefit equivalent to 12,500 recitations of mahamrityunjay mantra. It is also helpful in curing phobias and fears. 16 Faced Rudraksha gives even more benefit when worn with Ketu yantra. Benefits: Protection against theft and robbery, protection from fear, phobia and evil energy, cures chronic diseases, cures diseases of kidney, intestines, uterus, urine disorders, low back pain.